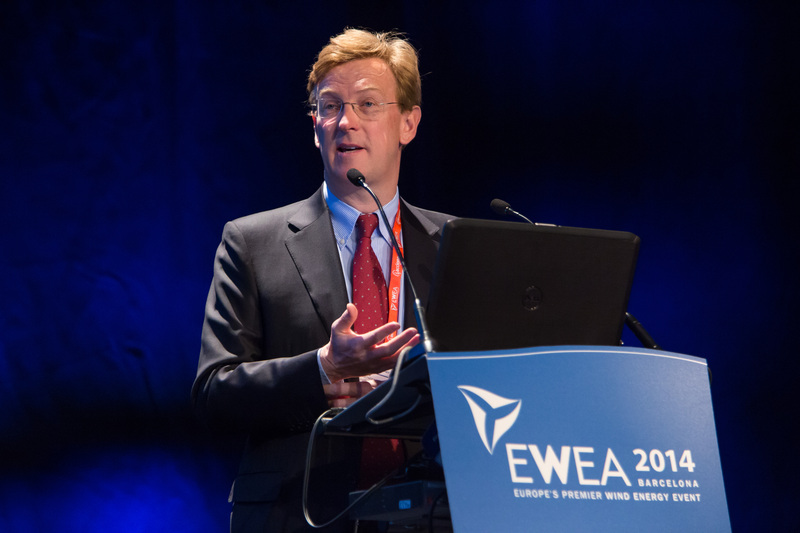 New markets, technological breakthroughs and an end to political uncertainty – that’s just three of the advances the wind energy sector is expecting in the coming years, revealed industry leaders at the EWEA 2014 Annual Event in Barcelona. “We will see advanced technology that is subsidy free,” said Anne McEntee, Vice President of Renewables at GE. With high attendance levels and a buzzing exhibition hall, the overall vibe at EWEA 2014 was certainly positive. However, speakers did note that important challenges remain: securing 2030 renewable energy targets, cutting costs – in particular offshore, and building better electricity grids. Andrew Garrard, EWEA President, warned that the current crisis in Crimea shows how dependent Europe is on fossil fuel imports. “The situation in Crimea is a wake-up call for all of us…it demonstrates the vulnerability of our fossil fuel supply”, he said. An ambitious 2030 renewable energy target would boost Europe’s renewables fleet and, in turn, energy security since President Putin cannot turn off the wind. Every EU citizen pays €2 a day for fossil fuel imports – or a total of €1 billion every day, he told the audience at EWEA 2014. 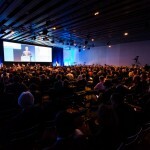 With over 150 companies and associations signing the “2030 declaration” – which calls on EU leaders to agree to ambitious and binding renewable energy targets at national level – the industry united at EWEA 2014 to ask EU leaders to make the decisions that will bring supply security to Europe. “An ambitious target, binding on Member States, is the most cost efficient way to realise our goal of 100% renewables in the long term. Not to mention boosting a sector which provides 250,000 people with work in Europe”, said EWEA 2014 conference chair and managing director of ENERCON, Hans-Dieter Kettwig. For those seeking inspiration, the conference did not disappoint. Brazil, Mexico and South Africa triumphed as new markets brimming with wind energy opportunity. Ten leading CEOs revealed their company’s strategies for survival, attendees heard that Google is looking to make more investments in wind, and Maria van der Hoeven, Chief Executive of the International Energy Agency, talked on the IEA’s support for 2030 renewable energy targets. Meanwhile, EWEA released new material detailing the costs of fossil fuel imports to Europe, the IEA got frank about the effects of fossil fuel subsidies, and a separate EWEA report delved into a less publicised field – the massive consumption of water in the fossil-fuelled power sector. 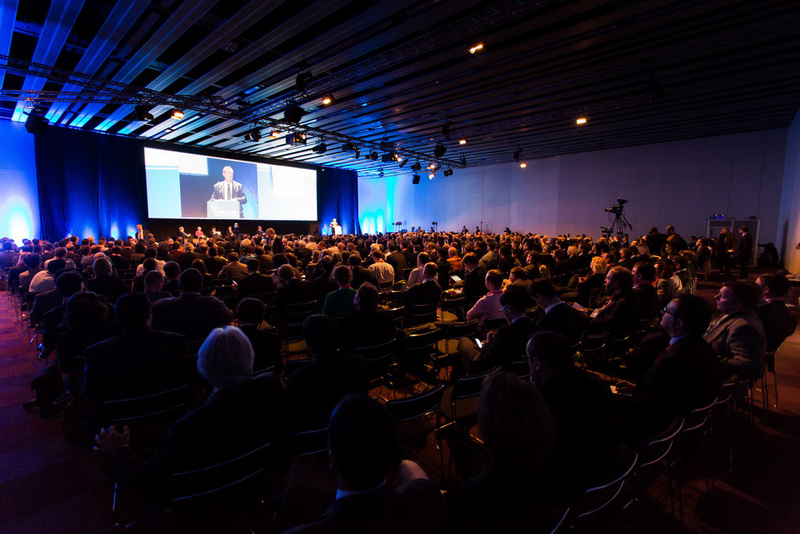 The event in Barcelona has now drawn to a close, but attendees full of new information, contacts and partnerships will certainly be looking forward to EWEA 2015 in Paris 17 – 20 November. Nuclear, coal and gas plants in Europe use 4.5 billion m³ of water a year, equivalent to that of 82 million EU citizens – the same as the population of Germany – new research shows. Energy production represents 44% of the EU’s total water use: more than any other activity. Yet wind energy, which uses no water, avoids the use of 1.2 billion m³ of water per year , representing savings of €2.4 billion says the report released today by the European Wind Energy Association (EWEA) at its annual event in Barcelona. “Water equivalent to over three Olympic size swimming pools is consumed every minute of every day of the year to cool Europe’s nuclear, coal and gas plants”, pointed out Ivan Pineda of EWEA. “Increasing our use of wind energy will help preserve this precious resource far more effectively than any ban on watering the garden– while saving us money”. Heads of state and government meeting on 20-21 March to discuss a 2030 climate and energy policy should take this research into account: boosting wind and renewable energy via an ambitious and binding renewable energy target for 2030 will have major benefits for the environment, as well as promoting green growth and jobs in a leading European industry. Las centrales nucleares y las plantas de carbón y gas en Europa utilizan 4.500 millones de m³ de agua al año, equivalente al consumo de 82 millones de ciudadanos de la UE, la población de Alemania, tal y como muestra un estudio reciente. La producción de energía representa el 44 % del consumo total de agua en la UE, más de cualquier otra actividad. Sin embargo, la energía eólica, que no utiliza agua, evita el uso de 1.200 millones de m³ de agua al año, lo que representa un ahorro de 2.400 millones de euros, según el informe publicado hoy por la Asociación Europea de la Energía Eólica (EWEA) en su evento anual en Barcelona. Los jefes de Estado y de Gobierno que se reúnan los días 20-21 de marzo para debatir sobre una política climática y energética de cara a 2030 deben tener en cuenta esta investigación: impulsar la energía eólica y las renovables a través de un objetivo de energía renovable ambicioso y vinculante para 2030 tendrá importantes beneficios para el medio ambiente e impulsará el crecimiento verde y el empleo en una industria líder a nivel europeo. Cost reduction is the one of the biggest challenges facing the wind energy industry today, according to Dave Jones, head of renewable energy at Allianz Capital Partners. 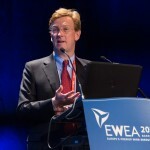 Speaking in a conference session on ´finding new growth opportunities´ at EWEA´s annual event in Barcelona, Jones said that reducing capital costs, particularly in offshore wind, must be an industry priority over the coming years. 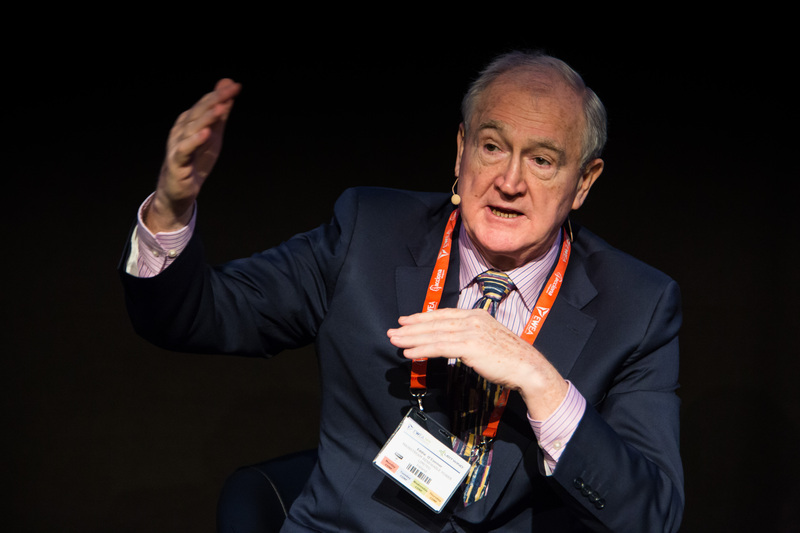 Jones also commented on the Spanish renewables sector, which has hit a stumbling block after the country´s government – led by Prime Minister Mariano Rajoy — slashed subsidies for producers in an effort to curb a 30 billion euro tariff deficit. Other session panelists included Francois Sterin, director of global infrastructure at Google, Tom Kiernan, CEO of the American Wind Energy Association (AWEA) and Niels Jongste of Green Giraffe Energy Bankers. Recharge Editor-in-Chief Ben Backwell and Canadian Wind Energy Association President Robert Hornung chaired the session. Sterin – repeatedly questioned on Google´s power purchase agreements in Europe — told the audience that by investing in Sweden, the Internet giant is trying to make its data centres carbon neutral. In January, Google announced a 10-year deal with Swedish firm Eolus Vind to power its Finnish data centre as of 2015. The deal is part of the Silicon Valley-based company´s pledge to reduce its carbon footprint to zero. Sterin said that the 10-year duration of Google´s PPAs strikes a “good balance” between Google´s interests and those of investors, adding that the company would like to partner with more utilities in future. AWEA chief Tom Kiernan stressed the challenges that wind energy is facing in the U.S. market. He called for the Production Tax Credit – a vital subsidy for the U.S. wind industry – to be renewed after the government allowed it to expire at the end of 2013. 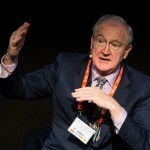 He added that there is a “good chance” that the PTC will be renewed in 2014, citing the substantial political support that wind energy has received in the U.S.
And it was Kiernan who had the final word, going on to say that he could see a scenario in the future where wind producers could compete with other energy sources without the need for the PTC. Executive Director of the International Energy Agency, Maria van der Hoeven, talked to Sarah Azau at EWEA 2014 Annual Event in Barcelona about power markets, subsidies and the Crimea. Will the Crimean situation make a difference to our relationship with Russian gas? Or are we simply too dependent on it? We are quite dependent on fossil fuel imports, but rather than gas I would look to talk about coal – Europe is burning more coal, more lignite than before and gas is being squeezed between coal and renewables, as the price of gas is rather high. But diversifying your energy mix is always good for a region. Christine Lagarde has spoken out strongly on fossil fuel subsidies recently. What is your view on her comments? There are two types of subsidies – subsidies on consumption, which is where the IEA works, and on production, which is what the OECD works on. But we spent $544 billion on fossil fuel subsidies in 2012 – that is a huge amount! We can see this everywhere, for instance in a number of oil producing countries like Saudi Arabia, also in big countries like China, India and so on. But some efforts are already being made. However, fossil fuel subsidies distort the market, they encourage wasteful consumption, they are not useful. The wind industry and other campaigners are calling for a renewable energy target of 30% at least for 2030 in the EU. In your speech at today’s opening session you said you welcomed a renewables energy target – is anything else needed? Whenever there is a target, you need to have the instruments in place to meet that target, so if there are no EU national targets you will need a European mechanism to meet that target. We would like to see targets, we would like them to be clear and with a mechanism that can be implemented. On infrastructure we don’t necessarily think there should be a target, but we want interconnectors between different markets or there won’t be a properly functioning market for energy. It is important to have an objective for interconnection and it must not be forgotten – at the moment it seems to be under the table. Europe needs to have flexibility, storage, and demand side measures. To have a good energy market in EU is of utmost importance. In a recent report you found integrating 30 percent or more of annual electricity production from wind and solar PV into power systems can come at little additional cost in the long term. TSOs often say that they cannot integrate more wind because of the power system – what would your message to them and to EU governments be? Let me say first that there is one precondition – in a stable system like Europe there is not much growth in power demand and there is overcapacity. In dynamic systems with growing power demand the situation is different, you can build your flexible system from the beginning, but in Europe you have to transform it. Some questions need to be answered – what are we going to do with most polluting power plants, how are we going to deal with stranded assets? Europe has to come up with an answer. But what is true is that by transforming your whole energy supply chain you can have flexibility, allowing variable renewables to grow. How do you see the future of wind and renewable energy, in the EU and further afield? That’s a difficult question – Europe was at the forefront of renewables and paid the price for that. But without Europe the renewables issue would not be as it is in other parts of the world. But if Europe wants to keep its front position in renewables is has to transform its energy system and develop a market for renewables. It can’t be done overnight, but it must be looked into to have a mature renewable energy sector.